About a year ago one of my amazing friends (I have many. Amazing friends, that is. People think I'M amazing, but I'm not. My friends actually make me seem as if I'm amazing, because THEY are so truly, incredibly amazing.) brought me the. best. coffee. I. have. ever. tasted. in. my. life. Turns out it's from some small town somewhere in Mexico and the only way I can get it is by stalking my friend when her husband comes back from his trips with some and making really mournful puppy dog eyes. Or maybe I could go live in Mexico. Hmmm. Because I love my friend, (read: I think she's awesome and don't want to scare her away so when she DOES feel like giving me coffee, she still will), I decided to try and make it myself. After many tries, I did not succeed exactly, but I came PRETTY DARN CLOSE. I also realized in the process that my new-found technique can take really lame tasting coffee and turn it into Super Yummy Coffee. This is a big help for people like me who take the little coffee samples out of hotel rooms, then combine them later hoping to get a halfway decent result. 1. Put whatever coffee you have in coffee filter. If it's hotel coffee, dump it out of its existing filter and into your own. I usually go 1/4 cup grounds plus a few pinches for 10 cups coffee, varying how much by who shows up to my Tuesday morning small group, and whether they like it stronger or weaker. 2. Add some cinnamon and some chocolate to the grounds. Mix it up a bit. The Authentic Mexican Delicacy has actual chunks of chocolate and bits of cinnamon stick, but I tend to go with whatever is in the cupboard. (Besides, chunks of chocolate are revered around here too much to put in the coffee.) You'll figure out how much you like the more you make it. 3. Fill the pot with water and dump it in the reservoir. 4. Get one of those fancy sugar cones that's brown. I'm not sure where, because another one of my amazing friends gets mine for me. I can never remember where she gets it, even though she always tells me. I think it's on the Fancy Sugar Cone aisle. (See? People think I'm amazing because I have a Fancy Sugar Cone, but it's really my amazing friend. Case in point.) Grate some of it. I'm only showing you the picture because I've had people say "Grate the sugar? Huh?" Yes. Grate the sugar. That's what it will look like. Then put it in the pot. (Yes, I'm sure you could use brown sugar or some kind of other fancy looking natural sugar. But this is what I've used because I'm told it's what they use in Mexico. Besides, my amazing friend gets me the super cool sugar cone. It's like using my son's fun gadgets. I feel cool. )See why I made step 3 the "fill the pot with water" step? Because if you wait until after you've put the sugar in, you've got to fill the reservoir some other way. More things to get out and put away. No one likes that. CONGRATULATIONS!!! You now know how to make Super Yummy Coffee! It's fun to experiment with the amounts and see what you come up with. You might even report back that you found a way to make it Super DUPER Yummy Coffee. This is one of the things that works for me. 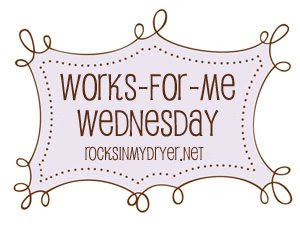 To see more awesome tips, visit this week's Works For Me Wednesday over at Rocks in My Dryer. Girl...you have some crazy awesome friends. Great idea. I've added vanilla powder to my coffee grounds before, but never thought of putting sugar in the pot. Thanks! Sounds delicious. If only it weren't already after nine. I'll have to wait until tomorrow to try. Oh wow. That's awholelotta work for one cup of joe. Can't I just go to Starbucks? Or maybe I'll just come visit you. I absolutely love mexican coffee! Starbucks Cinnamon Dolce is about as close as I ever get though. You are a genius! I must try this!! 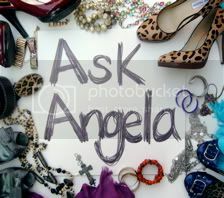 Did you see I blogged to you the other day? Sounds good! The funny thing is that I just saw the fancy sugar cone for the first time in my life tonight in the ethnic foods aisle of my grocery store!! Oh, yum! I so need a cup of coffee now. This looks so good! I will be trying it today.